Adds other specify to drag-and-drop ranking. 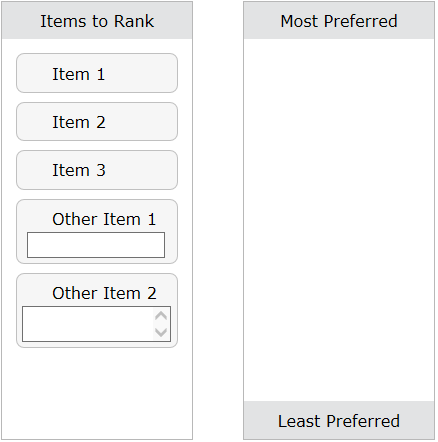 Adds other specify fields to a drag-and-drop ranking question. Supports "drag-to-container," "sort vertically," and "sort horizontally." The "Helper" question must be included in the survey. It should always appear directly after the ranking question.